Today’s continuously shifting security environment presents a challenge for home users with limited IT capabilities. Fortunately, the D-Link DFL-160 NetDefend™ soho Unified Threat Management (UTM) Firewall provides a comprehensive defense against virus attacks, unauthorized intrusions, and harmful content. 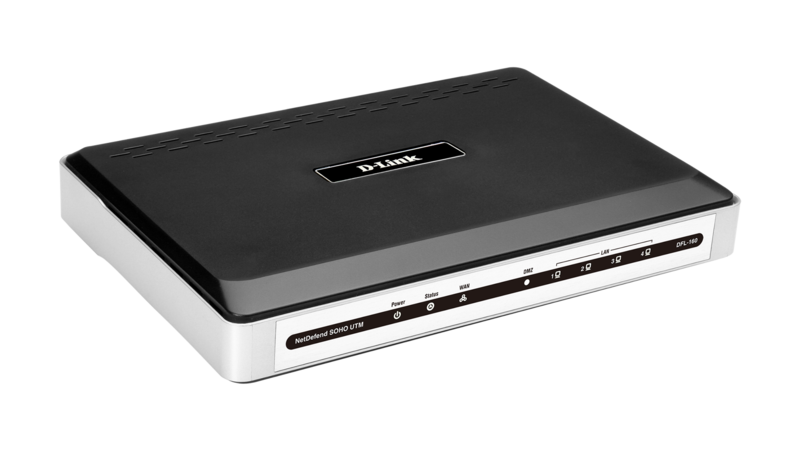 The DFL-160 allows you to manage, monitor, and maintain a healthy network with ease. The DFL-160 protects your private information and prevents damage caused by hazardous applications, malicious hackers, and various other threats. Optional content filters can also prevent access to offensive websites based on your personal preferences. Your PC’s antivirus software helps you to detect viruses and other malware, but can only detect these threats once they have reached your pc. This is where the DFL-160 can make all the difference. The DFL-160 is placed between your pc and the internet, where it monitors network traffic and actively blocks dangerous content such as viruses and worms. In doing so, the firewall keeps your network secure and reliable by ensuring that only safely verified files will reach your desktop. VPN support allows you to access your home network safely from remote locations. Whether at work, in a hotel, or on the road, connect to your home network with your pre-configured VPN account to conveniently and securely access your data. Cable and DSL users with dynamic ip addresses can take advantage of DDNS services which simplify access to systems with dynamic ip addresses.